From NRAP's "About" page -- The Newark Residents’ Alliance Project was founded in 2014 with the goal of supporting and encouraging civic engagement by providing residents with useful resources and information. The Project was created by Jen Wallace and Amy Roe. Including Jen and Amy, there are a couple other contributors to the site (with plans to add more) who share posts in their particular areas of interest and expertise on topics of importance to Newarkers. Poster's note: I will be writing for NRAP at least once per month under the Transportation Issues category. There is much to cover in the City of Newark, especially with the implementation of a robust Bicycle Plan and the quest for a Bicycle-Friendly Community designation. The enactment of anti-idling laws, defeating a proposed WaWa on South Main Street, and rallying against a proposed gas Power Plant on the STAR Campus have all been remarkable victories for sustainability. Easy to forget, however, is that carbon based transportation is 2nd only to power generation as the largest source of greenhouse gas emissions. 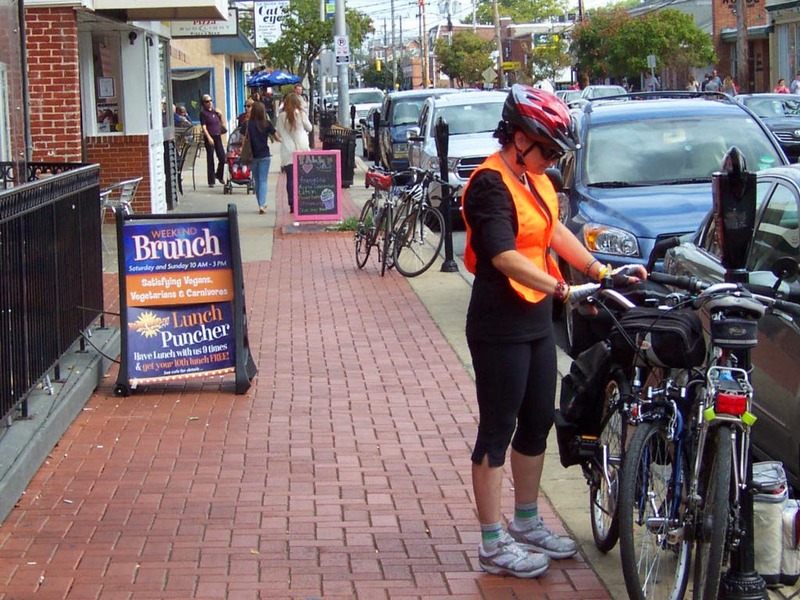 By U.S. standards, Newark's bicycle modeshare is a respectable 4.7%. We have a long way to go, however, if we're to match other cities around the world that have truly sustainable transportation systems. Visit our Newark category for all past and present articles related to the City of Newark. One might ask Jen Wallace and Amy Roe to edit their about page to make it gender nonspecific since it appears that, with Frank Warnock revealed as a contributor, there is at least one male on board. "One important note, each contributor’s words are her own"